Today was my second outing with Pune Urban Sketchers group, once again in Fergusson college campus. 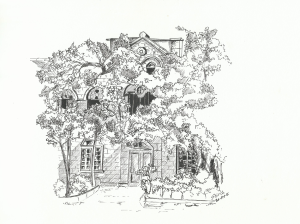 Today I sat on the steps outside one of the classrooms, and drew this sketch of this building opposite. This building was heavily covered in shrubbery and trees. So the main challenge was to show enough of the building through the trees, but at the same time keeping it covered with foliage. Had a lot of fun with this. Drawn on paper with Brustro pens, various sizes. 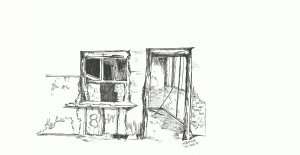 Total drawing time – 1 hour 15 mins. I wanted to try out my new set of Brustro technical pens. 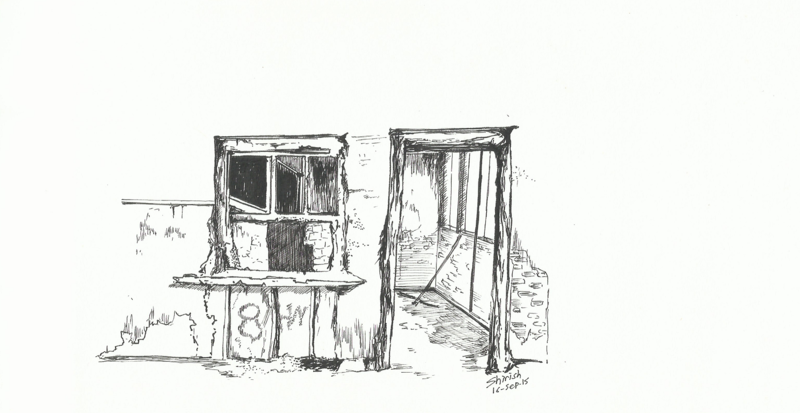 So I looked over to the internet for inspiration and came up with this test image of a dilapidated building interior. Total drawing time approx 40-50 mins. 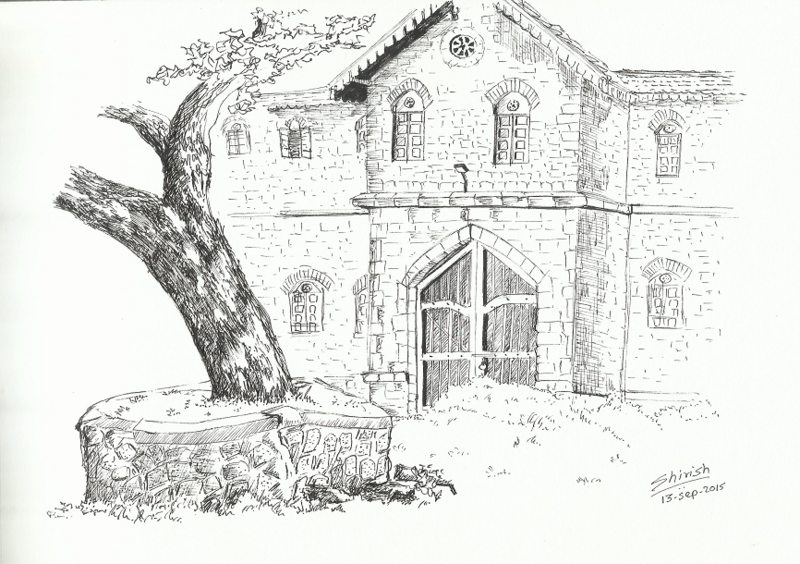 Today was my first outdoor sketch session with Pune Urban Sketchers. I found out this group on Facebook and immediately joined. 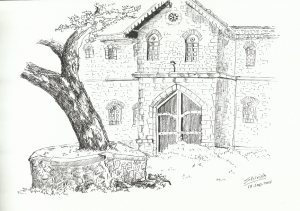 Today morning, we went to Fergusson College in Pune and did our sketches. 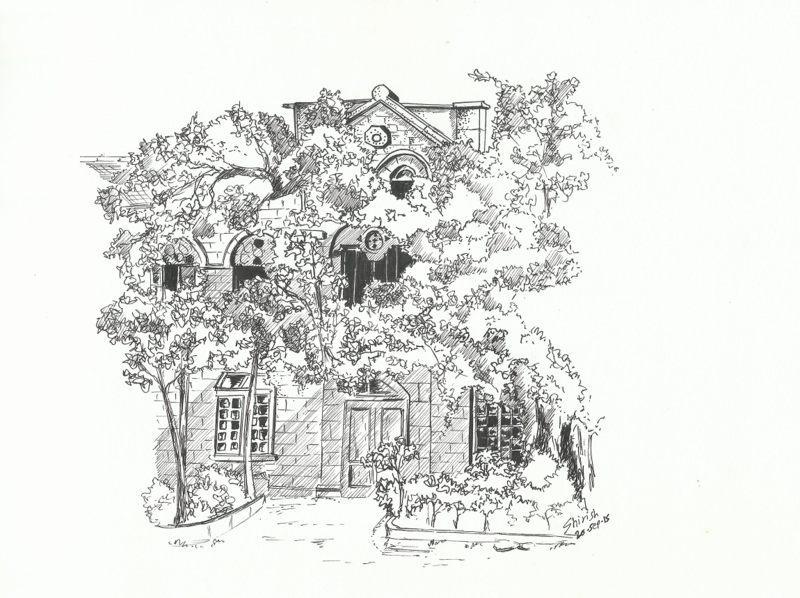 I sat in the famous Kimaya structure and did this pen and ink sketch of the building opposite to Kimaya. Total time = 1 hour 30 mins. 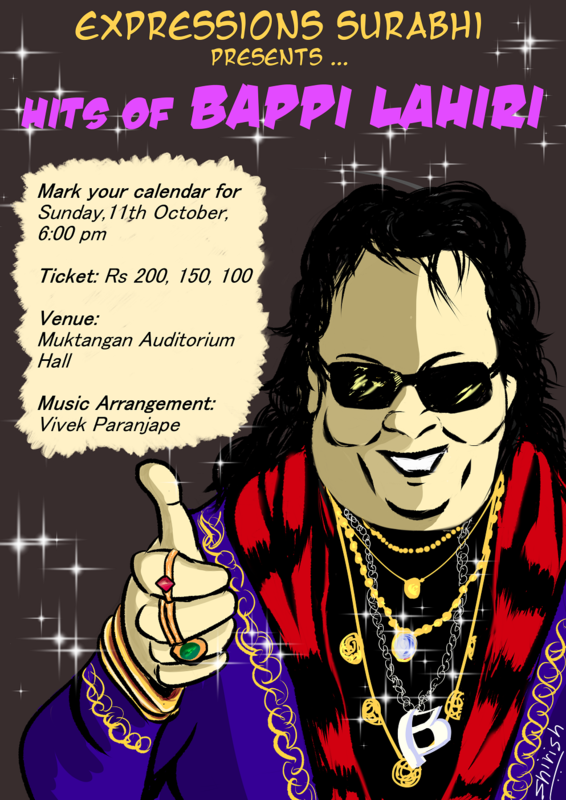 An Art group, Expressions Surabhi, of which I am a member, is going to do a show of hit songs of the (whimsically) famous Bollywood musician Bappi Lahiri. I designed a poster for this program. Here it is, as funky and gaudy as Bappida can get!